​Investing in new marine speakers can instantly improve the quality of sound you get in your marine vessel. However, you can only get the best sound from your marine music system by adding a perfect marine amplifier. Boat owners assume that amplifiers are all about enhancing volume. Although this is factual, amplifiers add more than just volume. By adding an amplifier to your boat, you will also get to hear all the details in a sound. With an amplifier, notes from music will not be lost to the noisy sea environment. You will get to listen to music exactly how it should sound even in a noisy environment. Some boats usually come with amplifiers while others don’t. Most amplifiers that come with boats are limited regarding performance. As such, you would need to add a more powerful amplifier without any limitations. That way, you will enjoy the enhanced sound. Also, you might be using your boat's music system without an amplifier, and you want to add more marine speakers. If this is your situation, you will require more power to continue enjoying quality sound. Adding subwoofers would also demand more power. With that said, you will have to start shopping for a perfect marine amplifier. Most marine amplifiers output power into mono, 2 or 4 channels. The channel configuration you will choose will depend on the number of speakers and/or subwoofers you’ll connect. A marine amplifier categorized as 2 channel doesn’t necessarily mean that you can only use it for powering two speakers. It’s very possible to use it to power more than two speakers. Only the power output and impedance will be affected. Two channel amps are the most common choice. They are ideal for powering two marine speakers. You can also combine both channels or bridge them to offer more power output on a single channel, especially when you want to power a marine subwoofer. In case you want a marine amp that has stereo functionality, a two channel amp will be a good choice. It comes with both left and right channel outputs. Choosing an amplifier with stereo functionality is necessary for tuning sound and also for staging. Two channel marine amplifiers can offer a full spectrum frequency that the human ear can comfortably hear. Depending on your needs, you can also opt for a four channel marine amp. An amplifier with four channels is ideal for powering four speakers. You can also bridge the channels to allow for more speaker configurations. Four channel marine amplifiers also support stereo functionality but are not often used to power subwoofers. If you want a dedicated amplifier to power a marine subwoofer individually, the best option would be a monoblock marine amplifier. Monoblock amps are specially designed to power subwoofers. Subwoofers demand more input power than regular marine speakers. The audio signal that goes into a subwoofer does not have to be clean like the one feeding an amplifier. In other words, subwoofers don’t require much sound processing like speakers. Monoblock amps don’t have full range amplifier functionalities like 2 or 4 channel amps. Since subwoofers require more power than the quality of sound, monoblock amplifiers are specially designed to power subwoofers for they output more power than other amplifiers. When investing in a marine music system, you will want the system to get enough power as needed. If your marine speakers and subwoofers fail to get enough power, they will perform poorly, and your music system will end up unutilized. As such, you should invest in a marine amplifier that is powerful enough to provide power to all the speakers and subwoofers in your boat. A perfect marine amplifier for boating season is one that has matching RMS power to what your music system requires. You will need to match power (watts RMS) with impedance (ohms). Impedance indicates a speaker’s resistance. Lower impedance results to more wattage consumption from an amplifier. Amplifiers run better and cooler at higher impedance. For instance, if your marine speakers require 100 watts and an impedance rated as 4 ohms, then you should get an amplifier that can output 70 to 130 watts and an impedance rated as 4 ohms. While some amp makers boast about peak power, you should focus more on RMS for the best power output. A perfect marine amplifier should have bass boost functionality. This is a functionality that allows boosting of the bass that an amplifier outputs. 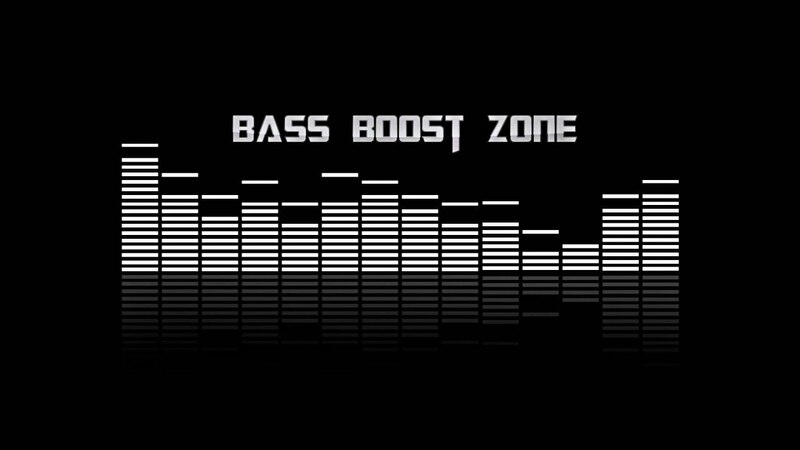 Bass boost is vital in that it enhances reproduction of sound. If you need a perfect marine speaker, you should select a model that has amplifier filters. These filters direct low-frequency sound away from a speaker, thereby preventing distortion of audio signals. Amp filters can be a high or low pass. Low pass amp filters right audio signals with high frequency away from a subwoofer while high pass amp filters direct audio with low frequency away from marine speakers. The best marine amplifier should be one with a quality and efficient heat sink. For an amplifier to run efficiently, it needs to dissipate the constant heat it gains while powering speakers. A quality heat sink made of a heavy-duty material can offer great thermal dissipation. You can also select a model that has a cooling fan for enhanced cooling and efficiency for prolonged periods. An excellent marine amplifier for boating season should be a type that can withstand the harsh sea environment for many years to come. The amp will be exposed to humidity and hot weather in the open seas. As such, you will need to get a marine amplifier that is built to prevent water from getting into the electronic components. It should be made of heavy-duty material to keep it free from corrosion due to the salty and humid conditions of the sea. For instance, amps with stainless steel hardware are durable and corrosion-free. Besides these considerations, you also need to select a marine amplifier that’s within your budget. Nevertheless, never compromise cost over other more important factors such as quality, efficiency, and durability. With these tips in mind, you will be more informed when selecting a marine amplifier for boating season.